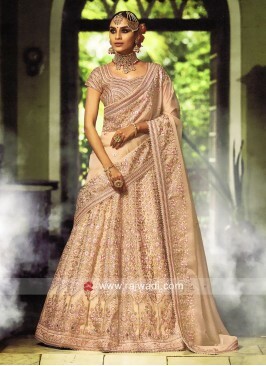 Royalty make a great impression in this gorgeous Lehenga Choli for the best look. 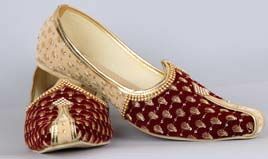 Made from Satin Silk in wine color. 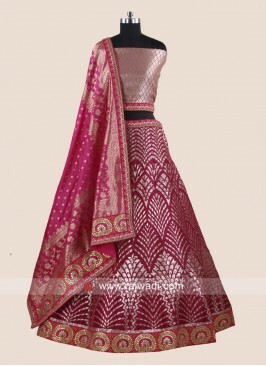 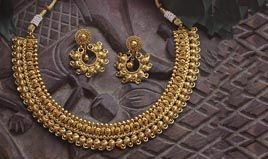 It features lovely embroidery work on it. 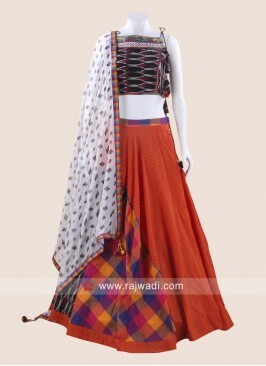 Comes with Peach double dupatta with this Lehenga Set. 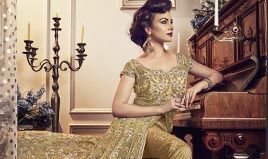 One made from Banarasi Silk and second dupatta in Net fabric. 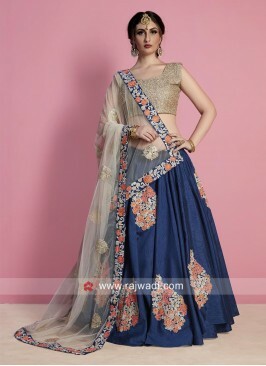 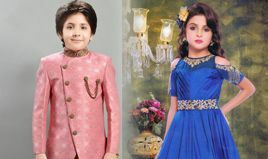 Satin Lehenga Choli in Li.. 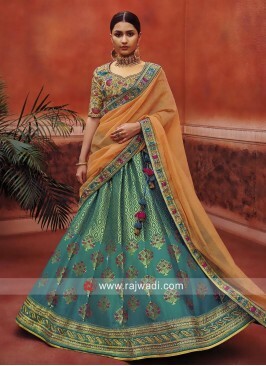 Dark Green Satin Lehenga ..
Pita and Stone Work Lehen.. 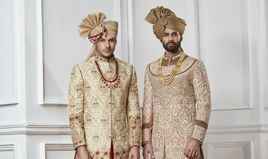 Brocade and Silk Wedding ..